Recently I’ve helped a customer configuring a hub-and-spoke topology where they had one VNET at the ‘Centre’ configured with VPN to their on-premises network which then needed to be connected to multiple ‘satellite’ VNETs using VNET-VNET connectivity. We’ve taken a step-by-step approach so we first established cross-premises connectivity using the portal UI, we then started to add the satellite networks one by one. Set-AzureVNetGatewayKey : BadRequest: The specified local network site name SatelliteVnet3′ is not valid or could not be found. Set-AzureVNetGatewayKey : An error occurred while sending the request. This happened when we delayed long enough for the AAD token in the PowerShell session and we could verify that by trying to execute any other command such as Get-AzureVNetGatewayKey or even Get-Azure Subscription. Using Add-AzureAccount to obtain a new token solved that one easily enough. Notice that you can (optionally) add a static ip for the load balancer – this is important as you’re likely to want to configure a DNS entry for this There is no need to create anything in advance other than the VNET and the Subnet – the internal load balancer will be created as part of the deployment. Upon a successful deployment the web role will NOT be accessible via the public internet and you will have a load balanced internal IP to access it from the VNET. One of the questions I’ve been asked is whether the IP assigned to the ILB in the configuration file is registered with the DHCP server, and the answer appears to be yes. when I’ve configured an IP address right at the beginning on the subnet, the web roles and other VMs provisioned later on the network, were assigned IP addresses greater than the load balancer, so one does not have to worry about IP clashes when configuring an ILB in this fashion. A customer I’m working with is looking to put in place a process to reconcile large invoices (=several million line items) from various suppliers. The process requires obtaining the suppliers invoices (typically from an FTP server) and matching it against the customer’s own data, flagging any exceptions. The approach I wanted to look into is how to use Azure Data Factory (ADF) to obtain both the invoices and the customer data, store a snapshot of both data sets in blob storage, use HDInsight to perform the reconciliation and push the outcome (invoices to pay and list of line item exceptions) back to a local database. Reading and writing customer data is easily done using an on-premises data gateway, however at this point in time ADF does not have built in capability to obtain data from an FTP server location. It does, however, support custom .net activities so I sat down to create one but before I go into the details of the (very simple!) implementation, it would be useful to explain the context, and for simplicity I’ll describe a simple set-up that simply uses the activity to download a file on an FTP server to blob storage. To satisfy ADF, I’ve created a table that points at a blob I’ve created in my storage account. The blob’s contents aren’t actually important, I just have the digit ‘1’ and as I expect my process to run daily I set the table’s availability to 1 Day. A crucial configuration here, though, is to set the table’s waitOnExternal to an object (can be empty) which will indicate to ADF that the blob is created outside ADF. The extended properties section includes a set of ‘custom’ properties I’ve defined which I need within my components, name – the connection details of the FTP server and the path to the file download. The only other important thing to note is that, this custom activity is going to run on an HDInsight cluster, provided by the second linked service configuration, outside the transformation object. The cluster can be an already-provisioned cluster or a configured linked service of an on-demand cluster. In the latter case ADF will provision a cluster on schedule deploy the activity to it and schedule its execution. the cluster will be destroyed when there’s no more activity on it but, crucially, this means that if I have further processing steps (as I will n the real implementation) this can still run on the same provisioned cluster and ADF will only de-provision it once there are no more steps to execute on it. So – what actually goes into the ADF.FTP package? Well – in this sample case this is a simple class library produced more or less by following the tutorial. I’ve created a class that implements IDotNetActivity’s only method – Execute – which accepts 4 parameters – 2 lists for the input and output tables, a dictionary for the extended properties and a logger and returns a dictionary back. The input table is the collection of inputs to the pipeline, in my case a single table pointing at the dummy blob and cab pretty much be ignored. Similarly, the output table is a collection of the outputs to the pipeline. For simplicity I’m assuming a single blob output, more on this shortly. The extended properties dictionary is a set of key value pairs providing the items I’ve configured in the pipeline. In this example I’m getting the FTP input stream and using that directly to upload to the blob stream. This is quite efficient but also drive the restriction to having only 1 output table. In any real code I’d check if I have more than one outputs and if so I’d have to read the contents of the FTP file into memory (or potentially local disk) before uploading to multiple destinations. The other piece needed, before running the FTP code above is to be able to connect to the output blob storage. And that is pretty much it…putting it all together, adding a few validation rules and log lines here and there and I’ve got a rudimentary FTP download activity for ADF. After building the project I zipped up the contents of the Debug folder and uploaded the ZIP to the container configured in the pipeline and when the pipeline ran I could see the contents of the file in the FTP server copied into my blob storage as requested. There are a few things I’d add in real implementation – I’ve already discussed supporting multiple outputs, I think this would be quite important. In theory one could also support multiple output types, but actually I think that moving to blob storage and then using built-in ADF activities such as the copy activity makes most sense. It might also be important to put in place something to confirm the file on the FTP server is fully written. many implementation that rely on FTP use a second flag file to indicate the main file is ready. 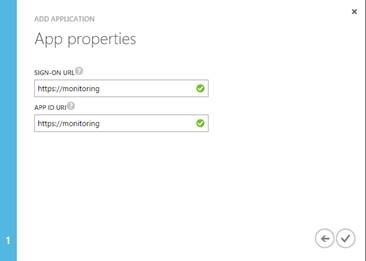 A couple of months ago I published a post on how to get metrics from the Azure API Management service in order to integrate it into existing monitoring tools and/or dashboards. One of my customers is building a solution with a significant use of Document DB at the heart of it and asked how we could do the same for Document DB. 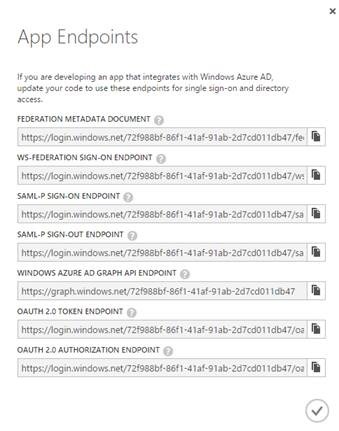 Access to resources through the Azure Resource Manager (ARM) is governed by AAD and so the first step is to have an identity, configured with the right permissions to our desired resource (a Document DB account, in this case), which we could use to authenticate to Azure AD and obtain a token. The token would then be used in subsequent requests to ARM for authentication and authorisation. Naturally, we need our solution to work programmatically, without an interactive user, and so we need to have a service principal with the right permissions. Service Principals exist in AAD through web Applications – every configured web application is also a service principal in AAD and its client Id and client secret can be used to authenticate to AAD and obtain a token on the apps behalf. In the Management portal open the directory’s application tab and clicked on the Add button at the bottom toolbar. In the next screen enter a sign-on URL and application URI. As I’ve mentioned – the application represents a service principal in the directory. To be able to authenticate using this service principal need three pieces of information – the client Id (essentially – the username of the principal), the client secret (the equivalent to the password) and the tenant Id (which is the authentication authority). 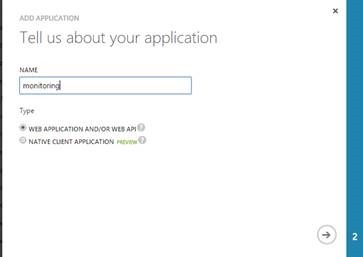 Once the application is created, within the application page in AAD, generate an application secret and note that as well as the client Id. With the application created, the service principal is ready and the next step is to configure role-based-access-control to provide permissions to the relevant resources to the principal. Use the Get-AzureADServicePrincipal command to see a list of the service principals in the active directory. Doing so also reveals the service principal’s Object Id which is needed in order to assign permissions to the newly created principal to the relevant resource. This is done using the New-AzureRoleAsignment cmdlet. The following example assigns a service principal the Contributor role for a specific resource group. With a principal in place and the right permissions set, the next step is to authenticate to Azure AD using the service principal’s credentials (the client id and client secret). This code snippet returns an authorization token from AAD for the service principal which can subsequently be used in requests to the Azure Resource Management to authenticate and authorise these requests. 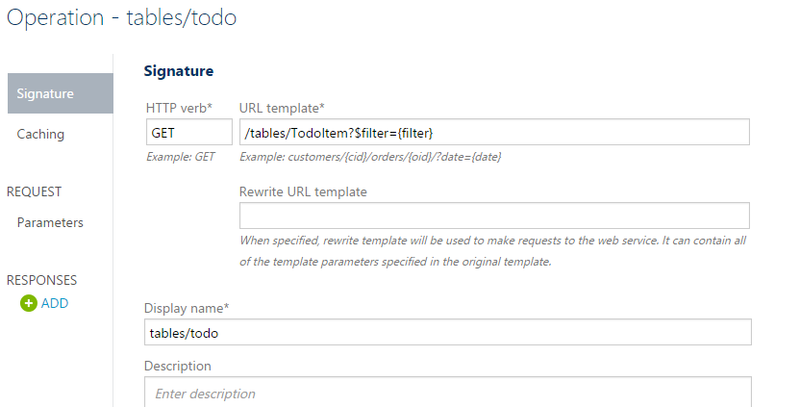 David Ebbo has a great blog post title Automating Azure on your CI server using a Service Principal which walks through this in detail. Now that authentication has been completed and we’ve obtained a token for the principal, we’re ready to call the Azure Resource Manager API and retrieve the metrics required. 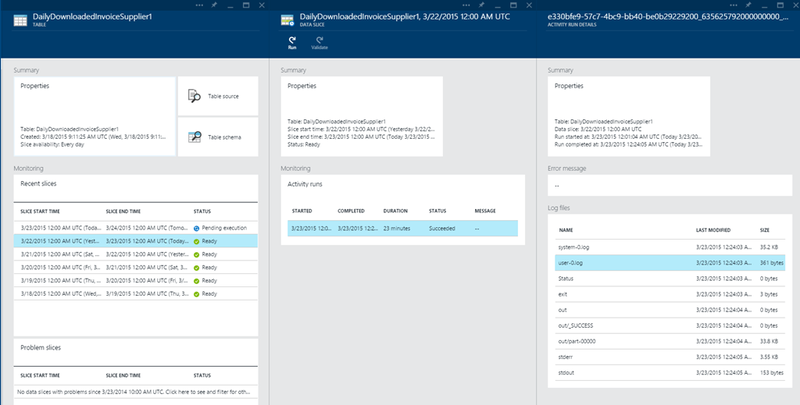 The best way to do so is to use the aforementioned Microsoft Azure Insights Library. In addition – there is some latency in getting the data, at the moment of about 20 minutes, but this is likely to be reduced. The combination of these meant that for a while I thought this my code was not working because during my tests I was only running load against my Document DB account for a short whilst at a time and then immediately requested the metrics. Because of the latency – data was not yet available, which meant MetricValues was always empty. Once the above was pointed out to me it all made perfect sense, of course. A customer I’m working with is deploying a mobile application backed by Azure Mobile Services and as part of their CI process they needed to automate integration testing of the mobile backend. Given that an Azure mobile services .net backend is essentially ASP.net MVC Web API, unit testing it as part of a continuous deployment wasn’t much of an issue and, in-fact, integration testing would have been easy too – simply calling the web API from a test project – if it wasn’t that our scenario, like many others’, involved authentication. Every request to the mobile services backend needs to include the X-ZUMO-APPLICATION http header carrying the application key. This does not pose any challenges for testing because it is essentially a constant value. For backend operations that require authentication, however, in addition to the application key header the client must also supply a valid authorisation token through the X-ZUMO-AUTH header and in order to automate testing the test code must be able to programmatically provide a valid authorisation header. In order to understand how best to approach this, it is important to understand the authentication flow of mobile services as I find that many have a small misunderstanding around it. Triggering authentication using the Mobile Services SDK (App.MobileService.LoginAsync) opens a browser that is directed at the mobile services backend and and not the identity provider directly. The backend identifies the identity provider requested (which is a parameter to LoginAsync) and performs the necessary redirection based on the identity configuration. The identity provider authenticates the user and redirects back to mobile services backend which is then able to inspect the token issued by the identity provider and use it to create the ZUMO authorisation token. The key point here is that, with Mobile services, the authorisation token used is a JWT token which is ALWAYS created by mobile services as part of the authentication flow. This approach means that following a valid authorisation flow, all tokens exchanged use the same structure irrespective of the identity provider. It also means, that tokens are interchangeable, as long as they are valid. Understanding that the tokens are interchangeable, as they are always created by the Mobile Services backend, highlights a possible approach for integration testing – if I could create a valid token as part of my test code and supply it with the call I wish to test I could pass authentication at the backend and retrieve the results without being redirected to the identity provider for an interactive login. So – the question is – can a token be created and if so – how? A Json Web Token (JWT) has three parts separated by a dot (‘.’) - the first part is a header indicating the token is JWT and the hashing algorithm used, the second part is the set of claims and the third part is a signature of the first two parts to prevent tampering. The mobile services backend creates the JWT token and populates the appropriate claims based on the identity provider before signing the token with the accounts master key. Naturally – the signature part does not contain any additional information but is a combination of the first 2 parts – base64 encoded and hashed. As you can see from the code, thee really isn’t much to it – the only dynamic values in this example are the not-before and expiry timestamp (expressed as seconds from 1/1/1970) as well as, of course the user id and master key values. It is possible, of course, to add additional claims as needed, based on the identity provider used, as these become available to the code though the User object. After creating the plain text version of the first two parts, encoding them to base64 and ensuring they are url friendly the code creates a hash of they key (master key + “JWTSig” ) and then used that to create an HMAC of the first two parts. This HMAC-SHA256 signature becomes the third part of the JWT token – the signature and as long as it is created correctly, the Mobile Services backend will accept the token. So – to round things up – with the understanding of how mobile services authentication works, how the JWT token looks like and how one can be created this can be put into use as part of a continuous integration set-up where the release process can deploy the mobile services backend, along side any other components of the solution and then run a set of tests to exercise the environment from the outside. 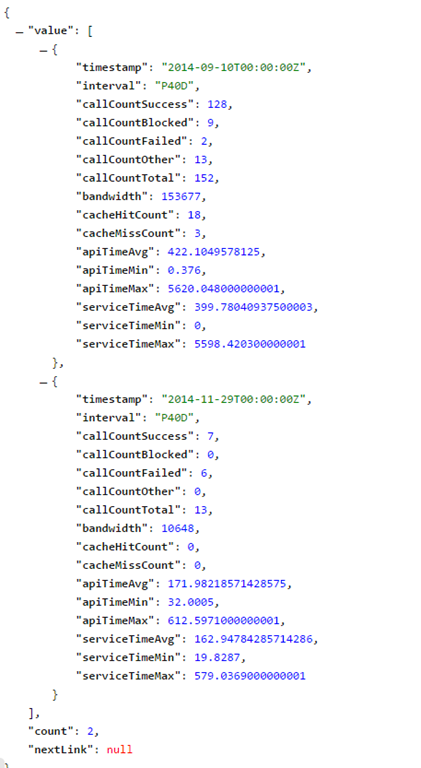 The Azure API Management portal provides a useful dashboard showing number of calls to an API over time, bandwidth used, number of errors and average response time. Viewing this information in the online dashboard is useful, but integrating it into existing dashboards and/or monitoring tools is even more powerful so – what it takes to get this data programmatically? Not much, as it turns out! Now that I’m able to call the management API, it is time to experiment with some requests. The request also needs to include an Authorization HTTP header with the value being the access token generated either in the portal or programmatically. You can see that I get two groups (there are more than 40 days between today and last August, with the relevant metrics in them.